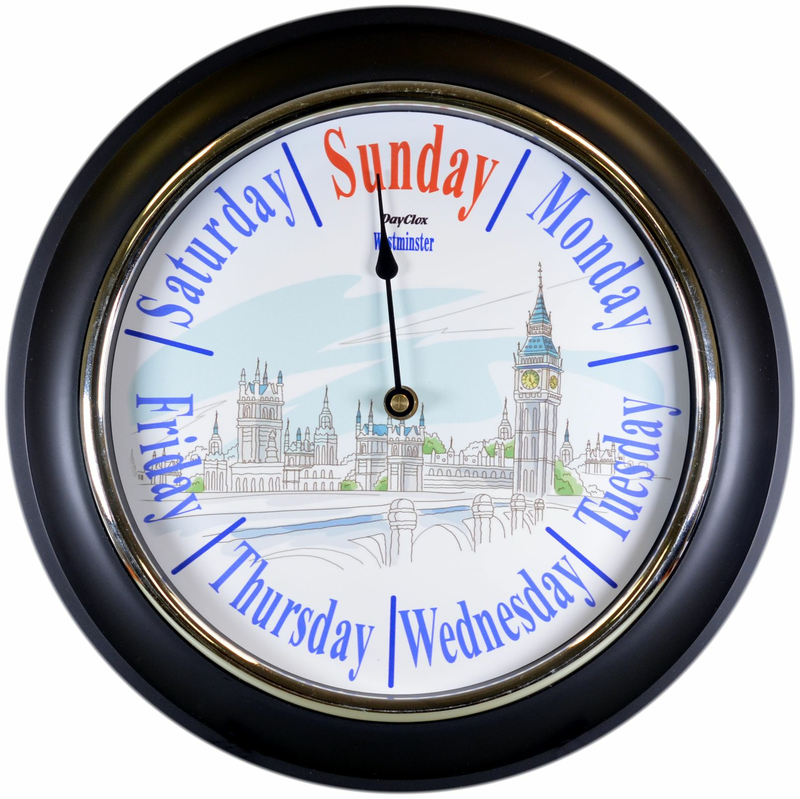 The Westminster artist impression fills the centre to create a very attractive, functional Day Clock with a wood surround. Attractive colour text with a long slender indicator hand. A 12.5" black plastic surround with a chromed bezel to retain glass lens to protect the clock face from dust and damage. 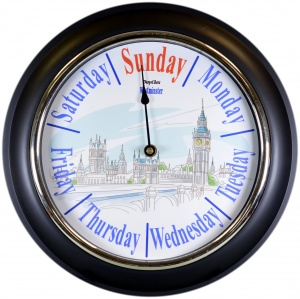 This Day Clock has a black acrylic surround 12.5" with a 9.5" face and flat acrylic lens and stylish metal hand.